Rug up for a truffle hunt in the crisp winter’s air at Red Hill Truffles. Owner Jenny and her trusty truffle dog Thomas will walk you through the Mornington Peninsula’s only producing truffiere. Learn all about the harvesting techniques as you hunt for a precious orb of black gold. Then warm yourself by the bonfire with a glass of something restorative before indulging in an eight course degustation lunch/dinner prepared by Michelin Star chef and truffle expert Romuald Oudeyer. Romu’s experience with truffles comes from his time at the Michelin Star La Truffière - a gastronomic restaurant known for its truffle dishes in the winter, its ever-evolving menu, endless creativity, and perfection all year round. 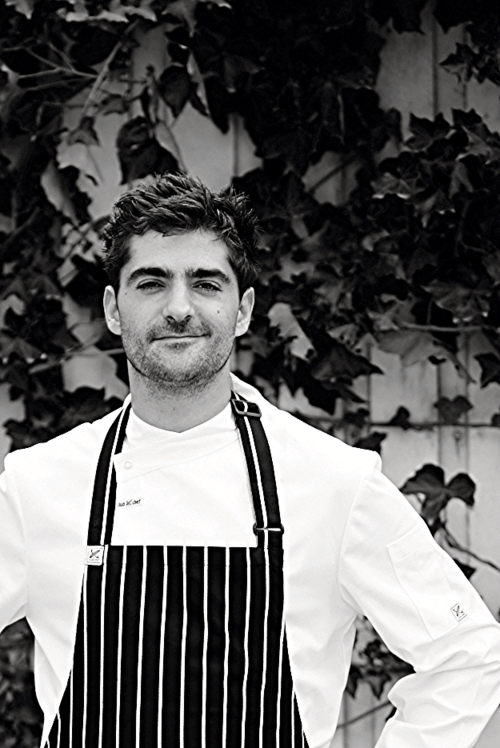 After meeting his Australian wife and moving to Melbourne, Romu has worked at some highly regarded Melbourne restaurants, including Jacques Reymond’s Bistro Gitan and Frank Camora’s Mo Vida Aqui. Now offering his services as a private chef, Romuald insists on working with the highest quality, seasonal produce. His style of cooking embodies an elegance and grandeur reminiscent of the finest restaurants in Paris. With an acute eye for detail and refined technique, he is consistent in producing intricate, visually pleasing, and above all, incredibly delicious dishes. Romu’s dishes will be matched to wines from Elgee Park.